Porsche El Paso is excited to offer this 2018 Porsche Macan. This Porsche includes: PREMIUM PACKAGE 14-WAY POWER SEATS WHEELS: 19 MACAN TURBO TRAILER COUPLING PANORAMIC ROOF SYSTEM PORSCHE CONNECT Smart Device Integration FRONT SEAT VENTILATION *Note - For third party subscriptions or services, please contact the dealer for more information. * Want more room? Want more style? This Porsche Macan is the vehicle for you. You deserve a vehicle designed for higher expectations. This Porsche Macan delivers with a luxurious, well-appointed interior and world-class engineering. Take home this 2018 Porsche Macan and enjoy the safety and added performance of AWD. This 2018 Porsche Macan is proudly offered by Porsche El Paso Want more room? Want more style? This Porsche Macan is the vehicle for you. Pull up in the vehicle and the valet will want to parked on the front row. This Porsche Macan is the vehicle others dream to own. Don't miss your chance to make it your new ride. This vehicle has an added performance bonus: AWD. It improves handling on those winding back roads, and gives you added safety and control when driving through wet and snow weather conditions. You've found the one you've been looking for. Your dream car. This outstanding example of a 2018 Porsche Macan Sport Edition is offered by Porsche El Paso. This Porsche includes: ROOF RAILS IN BLACK DELETION OF MODEL DESIGNATION TRAILER COUPLING Tow Hitch PREMIUM PACKAGE PLUS Keyless Start Mirror Memory Cooled Front Seat(s) Power Mirror(s) Seat Memory Adjustable Steering Wheel Heated Front Seat(s) Power Door Locks Keyless Entry *Note - For third party subscriptions or services, please contact the dealer for more information. * Want more room? Want more style? This Porsche Macan is the vehicle for you. Today's luxury vehicle is not just about opulence. It's about a perfect balance of performance, comfort and attention to detail. This 2018 Porsche Macan is the perfect example of the modern luxury. Once you see this Porsche, you'll quickly see that this is the perfect vehicle for the outdoor junky! You'll even feel relaxed knowing that this All-Wheel drive vehicle will get you to where you are going no matter what may come your way. Also, with this Porsche Macan's dependable control you'll be able to drive into the sunset without a care in the world! 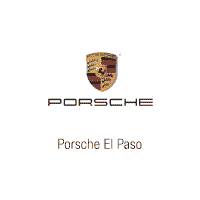 Contact Porsche El Paso today for information on dozens of vehicles like this 2018 Porsche Macan S. This Porsche includes: NAVIGATION MODULE FOR PCM Navigation System BOSE SURROUND SOUND SYSTEM Premium Sound System PREMIUM PACKAGE PLUS Keyless Start Heated Rear Seat(s) Mirror Memory Panoramic Roof Cooled Front Seat(s) Power Mirror(s) Seat Memory Auto-Dimming Rearview Mirror Power Passenger Seat Adjustable Steering Wheel Generic Sun/Moonroof Power Driver Seat Heated Front Seat(s) Power Door Locks Keyless Entry HID headlights Passenger Adjustable Lumbar Sun/Moonroof Premium Sound System Driver Adjustable Lumbar Dual Moonroof Bucket Seats Headlights-Auto-Leveling SPORT TAILPIPES IN BLACK BI-XENON LIGHTING SYSTEM W/PDLS HID headlights Headlights-Auto-Leveling AUTOMATICALLY DIMMING EXTERIOR MIRRORS Auto-Dimming Rearview Mirror MONOCHROME HIGH-GLOSS BLACK EXTERIOR PACKAGE WHEELS: 21 SPORT CLASSIC IN PLATINUM Tires - Front Performance Aluminum Wheels Tires - Rear Performance LANE CHANGE ASSIST (LCA) Blind Spot Monitor SMOKER PACKAGE TINTED LED TAILLIGHTS 14-WAY POWER SEATS Mirror Memory Power Mirror(s) Seat Memory Power Passenger Seat Adjustable Steering Wheel Power Driver Seat Passenger Adjustable Lumbar Driver Adjustable Lumbar Bucket Seats TRAILER COUPLING Tow Hitch *Note - For third party subscriptions or services, please contact the dealer for more information. * Want more room? Want more style? This Porsche Macan is the vehicle for you. You appreciate the finer things in life, the vehicle you drive should not be the exception. Style, performance, sophistication is in a class of its own with this stunning Porsche Macan. This AWD-equipped vehicle will handle beautifully on any terrain and in any weather condition your may find yourself in. The benefits of driving an all wheel drive vehicle, such as this Porsche Macan S, include superior acceleration, improved steering, and increased traction and stability. Enjoy the drive without worrying about directions thanks to the built-in navigation system. You can find this 2018 Porsche Macan Turbo and many others like it at Porsche El Paso. This Porsche includes: WHEELS: 21 SPORT CLASSIC IN HIGH-GLOSS BLACK Tires - Front Performance Aluminum Wheels Tires - Rear Performance CARMINE RED INTERIOR TRIM IN CARBON FIBER SEAT BELTS IN GARNET RED MONOCHROME HIGH-GLOSS BLACK EXTERIOR PACKAGE PREMIUM PACKAGE PLUS Keyless Start Lane Departure Warning Panoramic Roof Cooled Front Seat(s) Lane Keeping Assist Auto-Dimming Rearview Mirror Generic Sun/Moonroof Heated Front Seat(s) Power Door Locks Keyless Entry Sun/Moonroof Blind Spot Monitor Dual Moonroof CONNECT PLUS WiFi Hotspot Smart Device Integration MECHANICAL SUNSCREEN FOR REAR SIDE WINDOWS TRAILER COUPLING Tow Hitch *Note - For third party subscriptions or services, please contact the dealer for more information. * Want more room? Want more style? This Porsche Macan is the vehicle for you. There's a level of quality and refinement in this Porsche Macan that you won't find in your average vehicle. Savor the satisfaction of safety in any condition with this AWD Porsche Macan. Superior acceleration, unmatched traction and stability as well as a luxurious interior round out the impressive features of this AWD Porsche Macan.